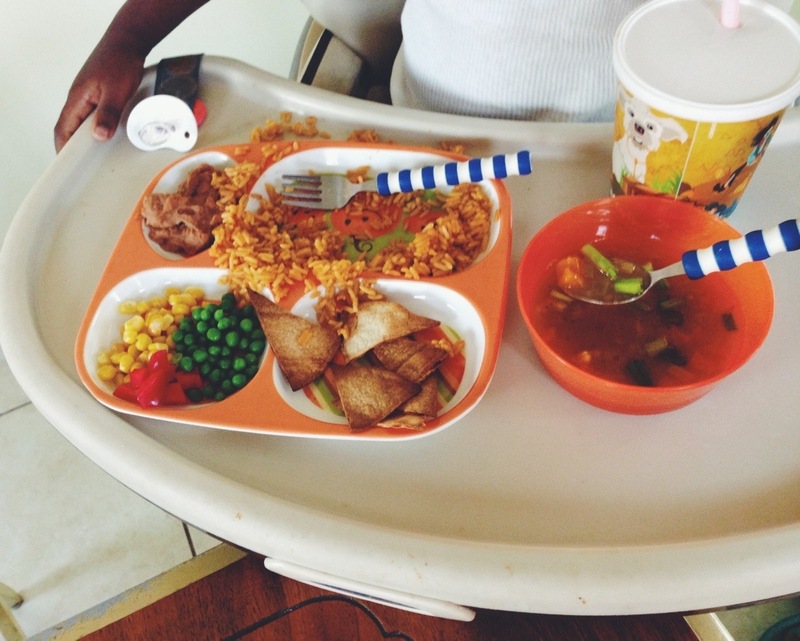 Things We Eat, These Days…. I feel like our meals have gotten a little easier, a little lazier. Big T and I both have been working so much, that’s we haven’t had the time to prepare the meals we used to. On days that I work from home, I start to cook dinner around 4:30. 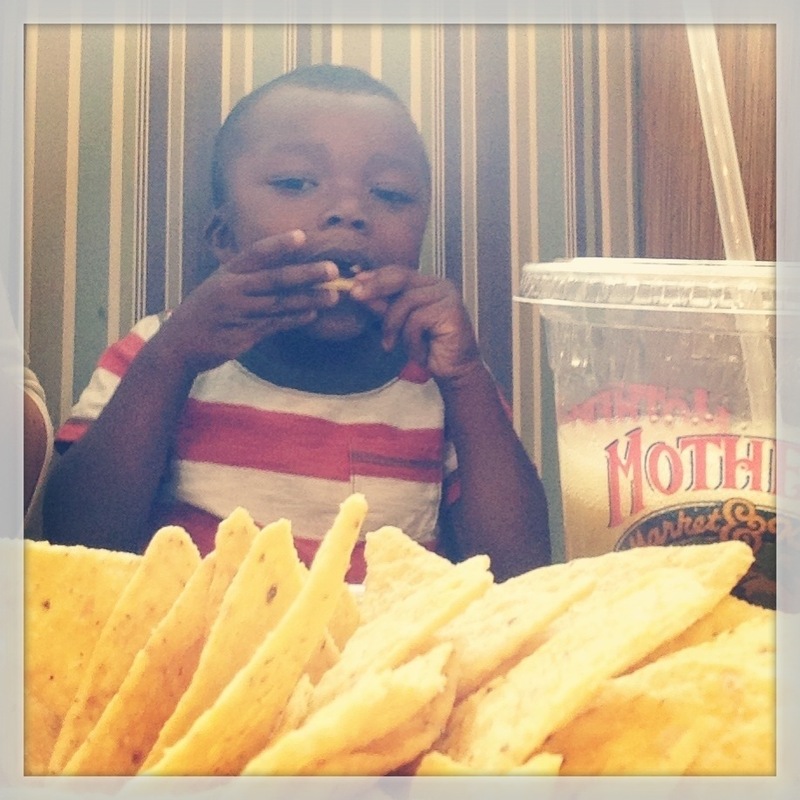 I try to have different options for Little T and I don’t pressure him to eat one thing or another. 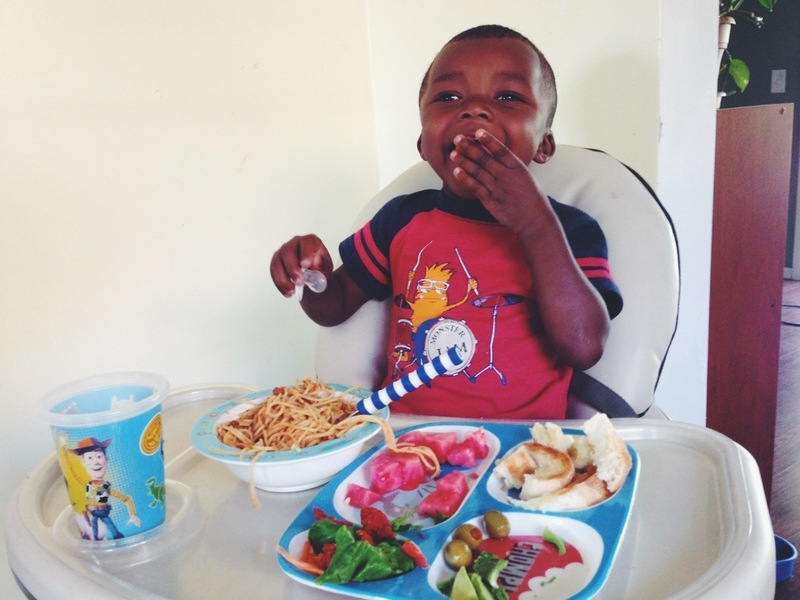 His favorite meal is rice, and would probably have it every meal if he could. Big T makes a lot of brown rice and freezes it in single serving bags for us to pull out and use for meals. Little T likes it the best with avocado, lemon, and a little Braggs Liquid Amino Acids. On days when I’m not home, Big T takes over for dinner. I’d like to say that I make beautiful salads every night, but to make our life easier, I’ve been using the salad bar at Mothers Market on my way home from Disneyland. I get a lot of salad and chopped veggies dry, and we use it for meals through the next day. 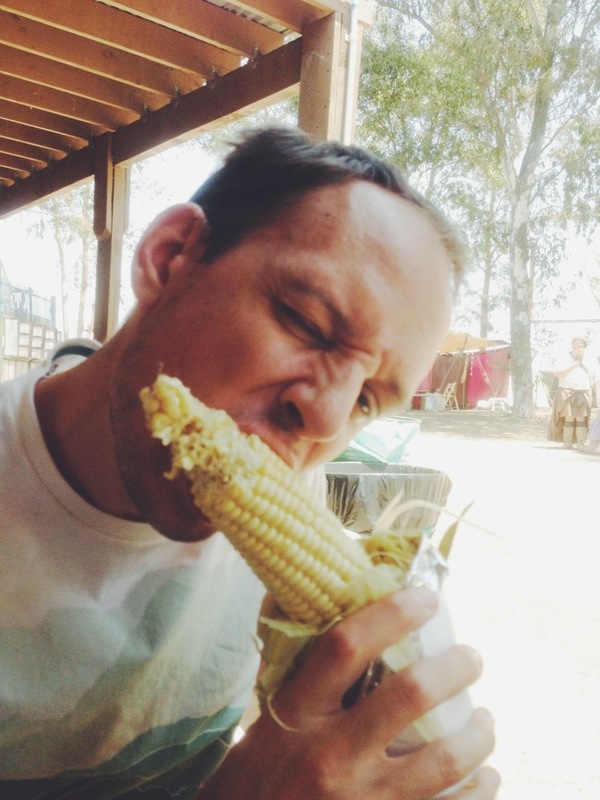 Corn on the cob at the Fair (one of our staple fair foods). So that’s our not-so-glamorous food routine. Pretty basic, but it works for our little family. (P.S. 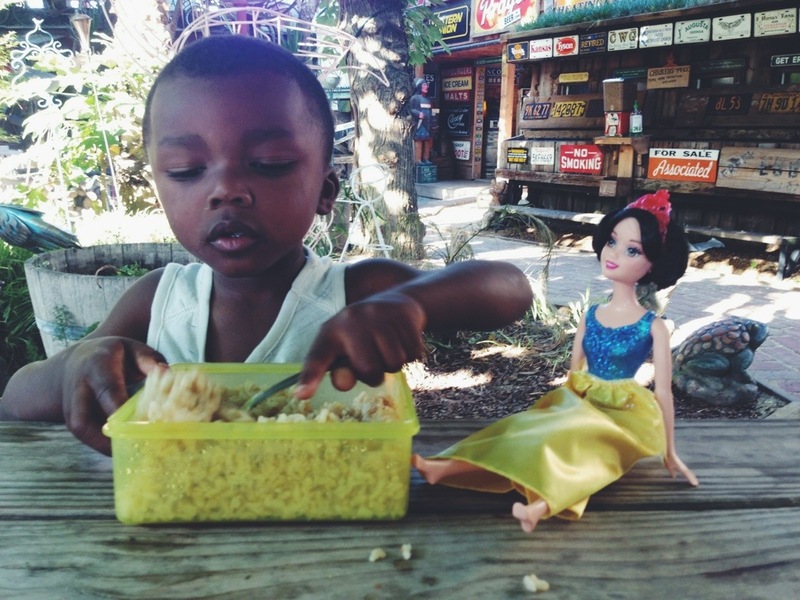 Little T is in love with that Snow White doll). It all looks wonderful to me! Avocado with lemon and Bragg’s (and some shredded nori) is one of my favorite lunches too! I think one of the great things about a vegan diet is that you really don’t have to slave away in the kitchen in order to have a meal that’s bright, healthy, balanced and delicious. 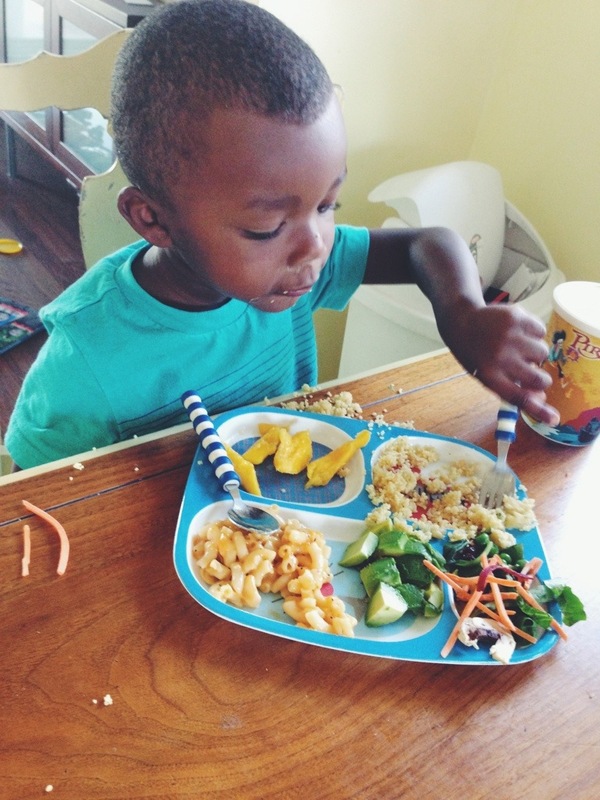 I love all of his little TV tray plates, I have to get some of those! Mmmmm, I love shredded Nori, but Little T isn’t used to it yet. He also doesn’t like coconut yet, silly kid. :p He is missing out! 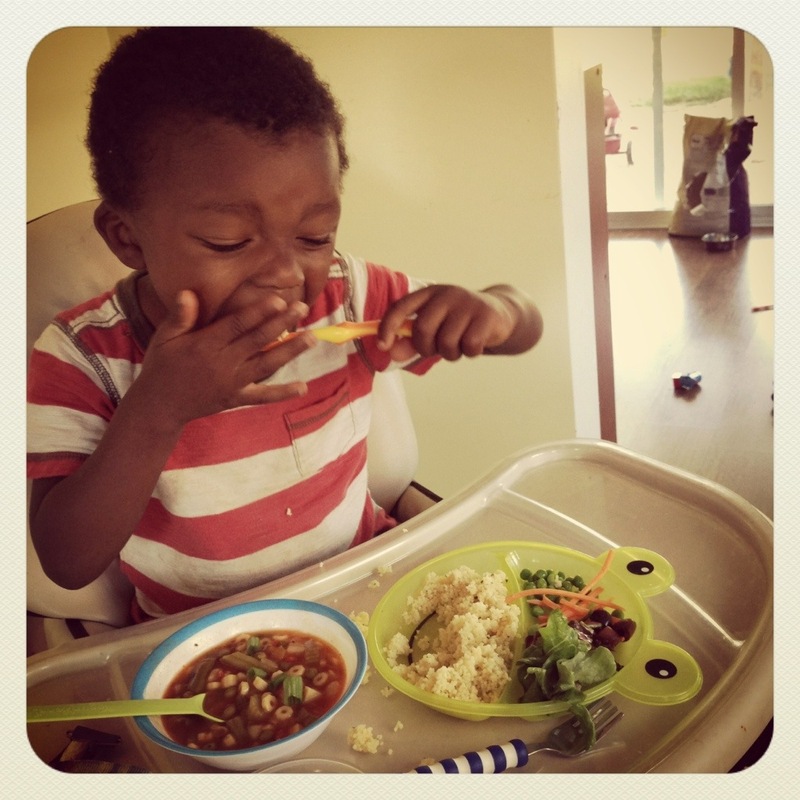 It looks like Little T is eating such a great variety of colorful food which is wonderful! 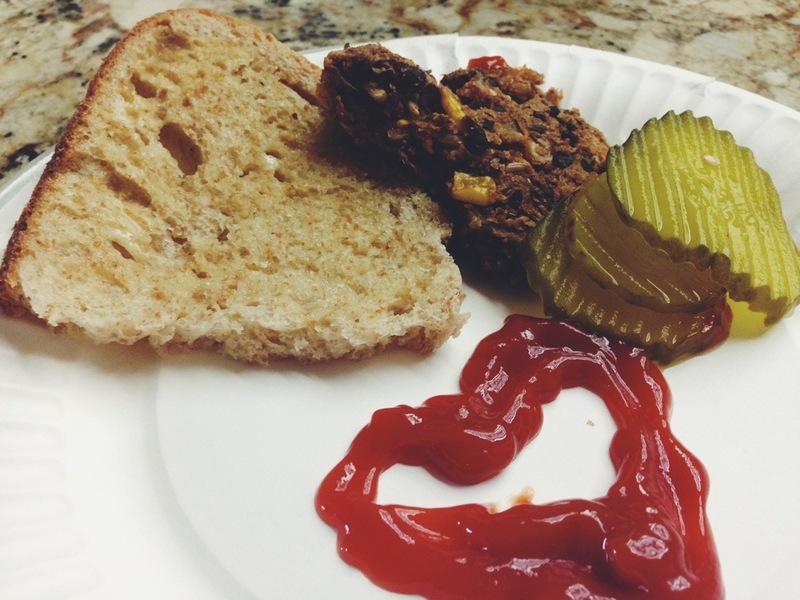 I loved seeing all your yummy meals!!!! Little T is just adorable!! !